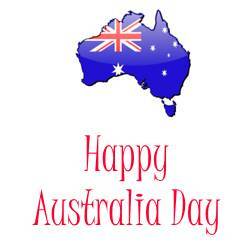 Australia Day is a big event in Australia and Gold Coast. You will find planned celebrations as well as many locals enjoying a holiday in the sun with friends, celebrating what a great country we are lucky enough to live in. Read on, to find out more about the Oz Day celebrations and other useful information, or use the Options Menu to skip to the topic you are interested in. Still planning your holiday to the Gold Coast and don't want to miss anything? Click Here to find out about my planning cheat sheets, tips & tools to step you through planning your next Gold Coast holiday! 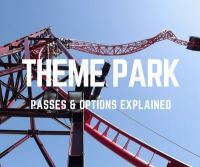 About Australia Day Events Questions & Answers Theme Parks Open? Shops Open? In Australia we celebrate the arrival of the first fleet of convict settlers to Sydney Cove on 26 January 1788. Every year, on the 26 January we have a public holiday to celebrate our official national day. All across Australia you will find formal and informal celebrations. From citizenship ceremonies and fun family events to informal picnics and BBQs, it will be hard to miss our love of everything Australian on this day. There will be a sea of Australian flags in red, white and blue and the Australian sporting colours of Green and Gold - okay so it's yellow! Most of the events on this day are planned for parks and outdoor areas. Please check with event organisers directly should the weather be wet or a storm is forecast. Wet weather is a great opportunity to be more creative! So, how about making some flags with the kids, baking some good old Australian Lamingtons or creating a traditional Aussie Pavlova! Okay so the next question is where to get some help with all of the above? A great resource for Australian colouring in activities including flag colouring in, Australian animals and more. A good pavlova recipe? Why not try out Maggie Beer's Pavlova. And what about a Lamington Recipe? Well, this one is a bit harder as you need to start making the sponge a day ahead... here's one like Grandma used to make! Formal celebrations and events on the Gold Coast centre around the Gold Coast City Council Chambers in the Evandale Parklands in Bundall. This is located just behind Surfers Paradise and if you are staying in Surfers you can take a stroll over the Chevron Island Bridge to walk there if you feel like it! These are the largest formal celebrations on the Gold Coast and certainly showcase many facets of Australian life. There are usually celebrations in Broadwater Parklands in Southport as well. Scroll down for more information about this and other events. 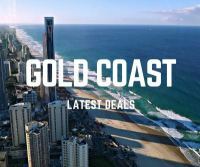 Disclaimer: Whilst every care is taken to provide correct information, the information about Gold Coast events, festivals, shows and other activities shown on this and other pages within this website is a guide only. Dates are subject to change without notice. Please check with individual event organisers before planning your trip around these dates. Festivities at Evandale Parklands are usually from 10am to 4pm. This is a free family fun day (alcohol free event, so definitely family friendly). Before the family day starts at 9.30am there is the official flag raising ceremony followed at 1am by the Australian Citizenship Ceremony. Enjoy a day full of fun, food and entertainment. There are usually a range of events, exhibitions and shows for all the family. For the kids there are usually carnival rides, face painting, puppet shows, animal nursery and pony rides. And just so you know it is really Aussie, there will be plenty of demonstrations such as sheep shearing, a black smith and damper making. You may even see snake shows, pig races and sheep herding! Wow, that's enough to make you feel hungry! Which leads us to the genuine Aussie Tucker! Plenty of food stalls. You might catch a few local and Australian Sporting Greats such as Gold Coast Titans from the NRL and Gold Coast Suns from AFL. There isn't that much parking in at the parklands, but you can park at Gold Coast Turf Club and there are free shuttle buses running all day. A variety of fun activities on the Great Lawn at Broadwater Parklands. Usually starts at 11am and runs through to 3pm check out inflatable rides, vertical rush and fly wall! A great spot for a picnic by the water and there are lots of playgrounds and the rockpools to enjoy. Jupiters Casino (now known as The Star Gold Coast) enjoy any excuse to celebrate and Australia Day is certainly a great excuse. Often they have special events on and around Australia Day to help you celebrate with their many options for entertainment, food, bars, casino and of course the hotel. There's often a celebration at Viney Park at Coomera. Some years they have included a Movies Under the Stars . As well as a BBQ and activities. Live music, prizes, competitions including Best Australia Day outfit and what would the day be, without a Thong throwing competition! Have fun! Some years Aussie Vineyards have been open on Australia Day with music and picnics. It is prone to be rained off, so check in closer to the time to see what they have planned. Aussie Vineyards at Mt Tamborine is a great spot to enjoy a glass of wine from the Cellar Door (usually open from 10am to 4pm, but check especially if the weather has been bad) and picnic on the lawn. Whether you visit on Australia Day or not, why not include them on your list of places to visit when up at Mt Tamborine! Usually there are some celebrations at this popular RSL in Currumbin. They have been known to hold an Aussie Dinner to celebrate Australia Day. Usually in Waves Restaurant with Australian foods including damper, seafood, steak and pavlova (sorry Kiwis we are claiming it today!). Question: Are the Gold Coast theme parks open on Australia Day? Question: Is Currumbin Wildlife Sanctuary open on Australia Day? Question: Are the shops in Gold Coast open on Australia Day? Answer: Mostly! Some are and some are not. For example Robina Town Centre is usually open for Sunday trading hours. Some shops may trade longer hours, but these are the general hours. Always check, because trading hours in Queensland are always open to change. Australia Fair sometimes opens late the night before, but will probably be open similar to Sunday trading hours. Many smaller shops may not be open.